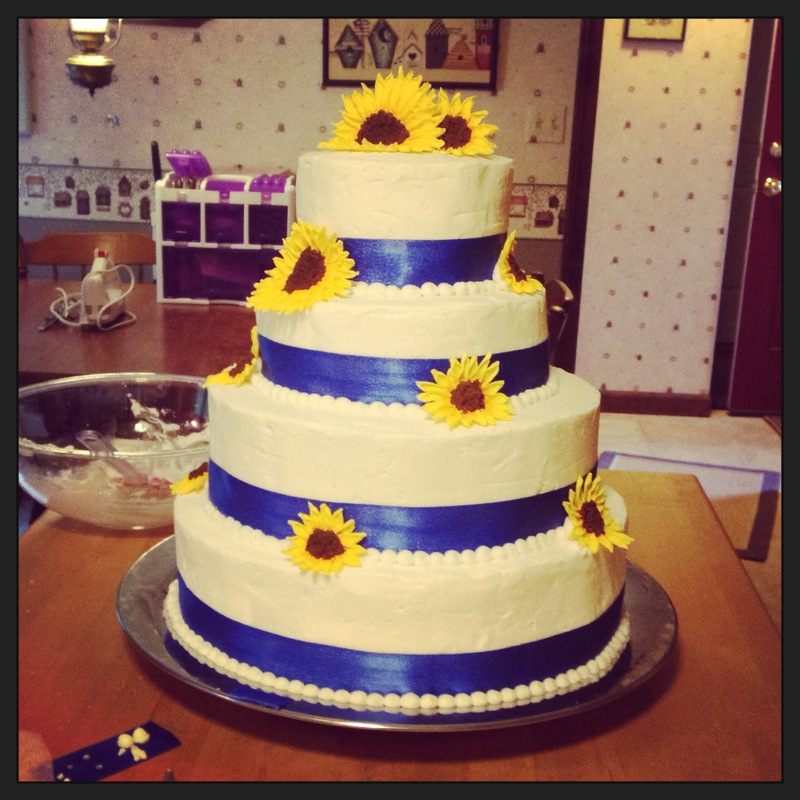 My Best Friend’s Wedding (Cake) – Making My First Wedding Cake EVER! ….But hopefully not my last! I know, I know, I know, Amy’s wedding was two whole weeks ago – what have I been doing with my life? Why am I slacking on posting about the wedding cake? Honestly? I’ve been sleeping, and watching a lot of TV, and taking Miss Daisy to the park many, many times. Yes, I’ve been relaxing, and with Christian being in NH last week, I was busy being a single puppy parent, which – let me tell YOU – isn’t easy. I cannot even imagine what being a single human baby parent must be like. At least a puppy I can leave home alone and lock up when I need to get things done. I think putting a baby human in a cage is frowned upon…And I’m pretty sure leaving one home alone is neglect and/or abandonment…either way, puppy = way easier than baby. I get it mother. No worries. (That statement was legitimately for my mother.) And then this week, between entertaining my little monster and entertaining Daisy (I so funny), it has taken me all week to complete this post! But I digress…Back to the point: THE WEDDING CAKE! In case you forgot, I am making the wedding cake for one of my very best friends, Amy, in August, and it is time to start prepping so that I am a pro by the time I get to the end of August. To prepare, practice, and perfect, I will be making mini cakes and cupcakes in the coming weeks to test my fillings and ensure my cake recipe is wonderful (which it is, hehe), and a complete full-size test run the third weekend in July (or maybe sometime in early August) for my twin brothers’ high school graduation party (which has yet to be planned, I do believe, so my coworkers may just be getting a gigantic mid-summer cake). And since sugar flowers last forever, it is never too early to start making those.